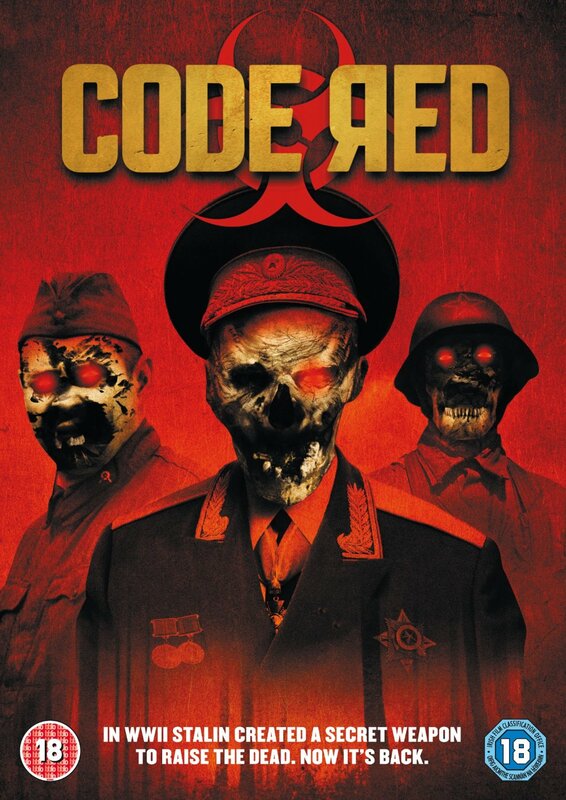 More Nazi Zombies: CODE RED (2013) UK DVD released 6th Jan 2014. December 31, 2013 / giallo1971 / Comments Off on More Nazi Zombies: CODE RED (2013) UK DVD released 6th Jan 2014. Have you waded through Zombie Lake ? Opened the cannister containing The Frozen Dead ? If you have seen Iron Sky, Shock Waves, Outpost 1 & 2, Dead Snow and Frankenstein’s Army (naming only a few) and have not had your fill of Nazi Zombies then fear not – Code Red is coming to UK DVD on 6th January. Created by Stalin in WW2 that has been missing for over 70 years is discovered in modern day Bulgaria and released, turning the inhabitants of the town against each other in a killing frenzy. However, the gas has an even worse side effect and causes the dead to rise… Amongst the chaos, NATO Doctor Ana Bennett and US Special Forces agent John McGahey must escape the town before the code red alert is raised, and the entire island is destroyed.